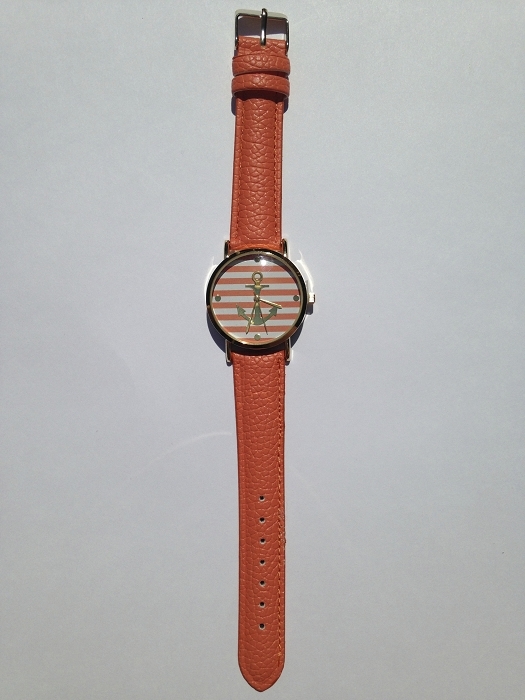 This orange leather watch is the perfect watch for all of your outfits. It could make the perfect present as well! The adorable anchor on the striped face of the watch gives it the classy look you are looking for.